As we prepare to bid farewell to the European Year of Cultural Heritage (#EYCH), a crucial initiative promoting contemporary understanding of cultural heritage, are we able to achieve what we aimed for? Early this year, Culture Action Europe called European Institutions and Member States to take up a set of recommendations on board, highlighting a holistic and forward looking understanding of cultural heritage and cultural policy. 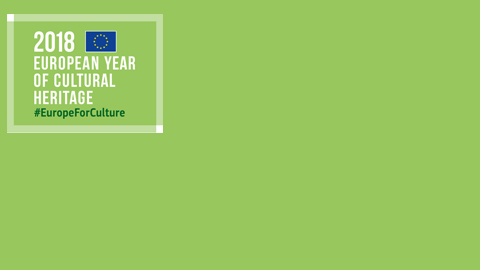 The European Year of Cultural Heritage (EYCH) enabled rich exchanges across and fostered better collaborations among cultural heritage experts, European and national institutions, EYCH stakeholders and Culture Action Europe (CAE) members. With these interactions, CAE proposed inclusive guiding principles and actions to ensure a dynamic approach to culture and cultural heritage that projects Europe into the future. The legacy of the EYCH requires forward looking approach to policy that commits and emphasizes democratic, humanistic and pluralistic European values of EU action and cultural rights. This approach not only promotes an ethical and dynamic relation with the present but also co-creates heritage of the future taking funding schemes into consideration. We need a regenerative approach; sustainable culture and cultural heritage enabling skills development, promoting participation and the organic evolution of the different intangible and living heritage. Within these approaches, placing cultural spaces and citizens’ engagement in a broader European and global context within civic education structures and funding programmes fosters ownership towards heritage and contribute to success of heritage interventions. We cannot neglect the role as well as power of artificial intelligence (AI) in the digital era. AI can help mediate our collective memories and shared heritage. Collaborative frameworks emphasizing diversity can equally lead to fair and ethical digitization of culture and cultural heritage. If access to digital cultural content is facilitated, among other means, through curation and multilingualism, it will enable factor for new avenues of mutual understanding across Europe. Such new avenues together with challenges and gaps among traditional and contemporary perspectives of cultural heritage can be identified through cross-sectoral cooperative research and innovation projects.